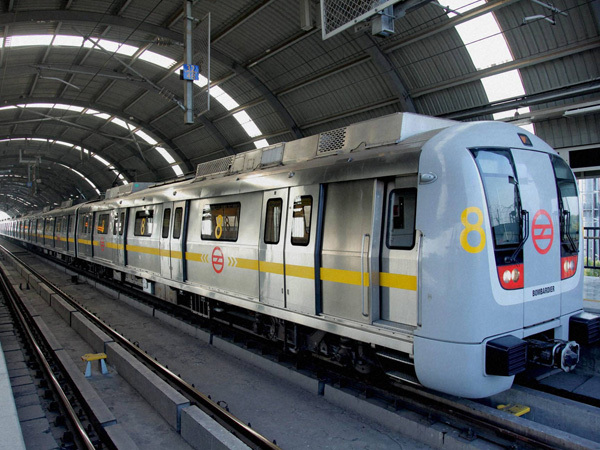 Gurugram: The Rail India Technical and Economic Service (RITES) has started a technical feasibility study for the expansion of the Delhi Metro’s Yellow Line from Huda City Centre station to Gurugram railway station. Haryana Mass Rapid Transport Corporation (HMRTC) has authorised RITES to submit a report on the technical aspects of the 12.28km expansion project to meet a long-standing demand of connecting the public transportation system with the old city. RITES officials have visited some of the congested places of the route like Laxman Vihar, sector 4-5, to know the exact ground situation. The purpose to start technical feasibility study of the area to identify any hurdles. According to an official, RITES have been given six months time to prepare a detailed project report (DPR) of this route and after preparation the same will be submitted to DMRC and HMRTC. The 12.28km stretch will have total nine stations namely Huda City Centre, Sector 45, Sector 46, Sector 47, Subhash Chowk, Rajiv Chowk, Roshanpura, Sector 4-5 and Gurugram Railway Station. GMDA has estimated a cost of Rs 2,196 crore for the project. After the formation of GMDA, it was given the responsibility to conduct a survey of three routes from Huda City Centre to connect old Gurugram. The first route was to connect it with sector 21 Dwarka via old Gurugram, covering 27.48km. The second route was to link Huda City Centre to Gurugram railway station and the third between IFFCO Chowk metro station and sector 21 Dwarka. During the first meeting of GMDA on January 31, Haryana chief minister Manohar Lal Khattar was more keen on the 12.28km route connecting old city with Gurugram railway station as the last station, and therefore this was finalised. After this, necessary formalities with DMRC were completed, said the source. The official pointed out that GMDA has also taken public feedback last year, and a majority of residents have shown interest in the Huda City Centre to Dwarka sector 21 routes. HMRTC has a plan to make a ring of metro in Gurugram city with the eventual goal to reach the last mile. It has not dropped the longer route idea. The option is open with HMRTC and it may consider in the second phase to connect this with sector 21 Dwarka through Subhash Chowk, Hero Honda Chowk, sector 9, Ashok Vihar and Palam Vihar. The estimated cost of the longer route is Rs 4,591 crore, the official said.